Yes! It's happening. 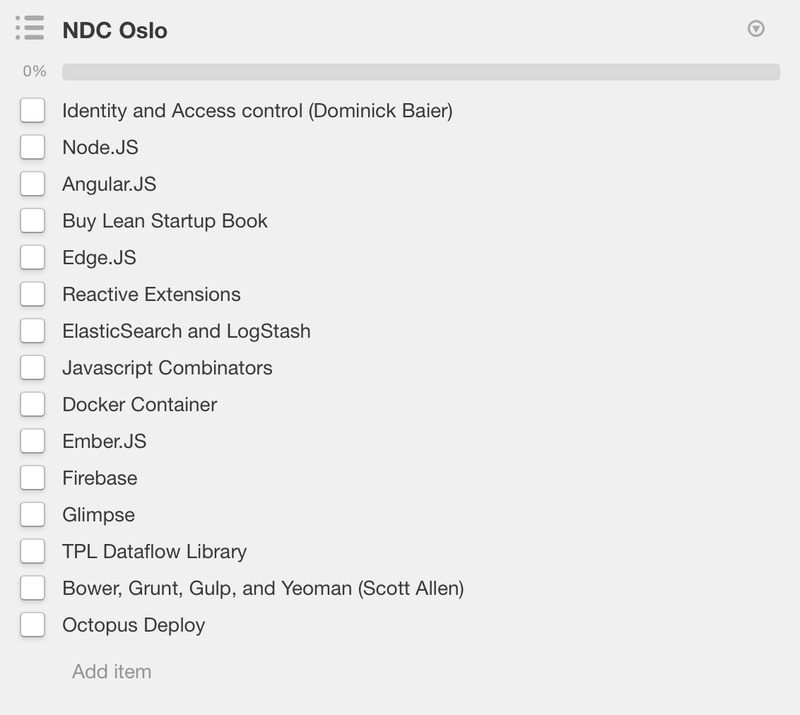 We will be at NDC Oslo 2014 with 3 developers from NIPO Software. Bjorn Coltof, Serif Ozcan and I are going to be there between 2-6th of June. We'll be attending the conference as well as the pre-conference workshops. We're all pretty excited and it's going to be awesome. Connect with us if you're also going to be there! We can have a chat over a beer or two. All beers are on NIPO Software! (just testing if Jeroen Noordman, our CEO, is reading this post. I should soon find out). Let's get to the conference content. 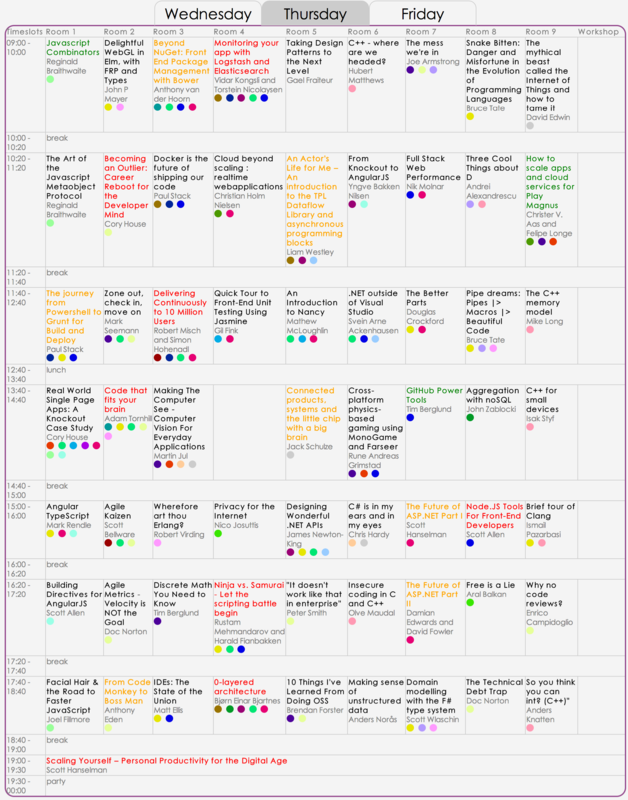 The sessions are so great that you wish you could have mitosis and attend at least a couple of them at the same time. But again life is all about priorities. Clarifying the priorities is tough. Is this session content something I can find in books, online documents or Pluralsight courses? How original is it? ..and of course it's preferable that I can apply this knowledge somewhere in the office like on Nfield. There is a bunch of pre-conference workshops that will take place in the first 2 days, right before the conference starts. First choice had to be made here. This is something you can't change afterwards. It's printed on the ticket. In the end Bjorn and I picked Identity and access control for modern web applications and APIs (Dominick Baier - Brock Allen) and Serif chose to stay away from us by enrolling in AngularJS workshop (Scott Allen). Can't really blame him, I love Scott Allen's Pluralsight courses. 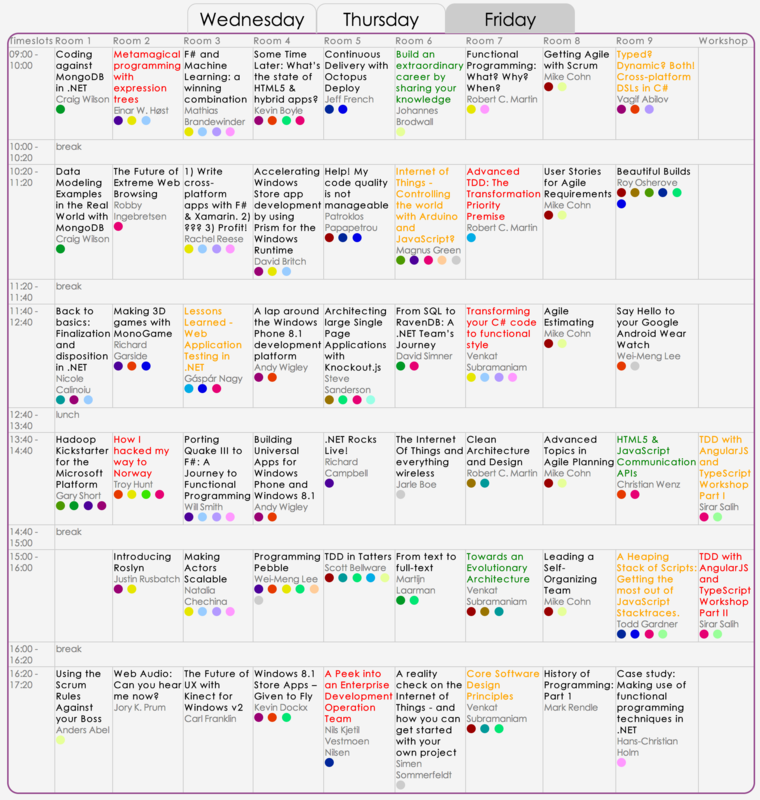 The most tricky part in this selection is that all "interesting" single day workshops are set for 3rd of June. 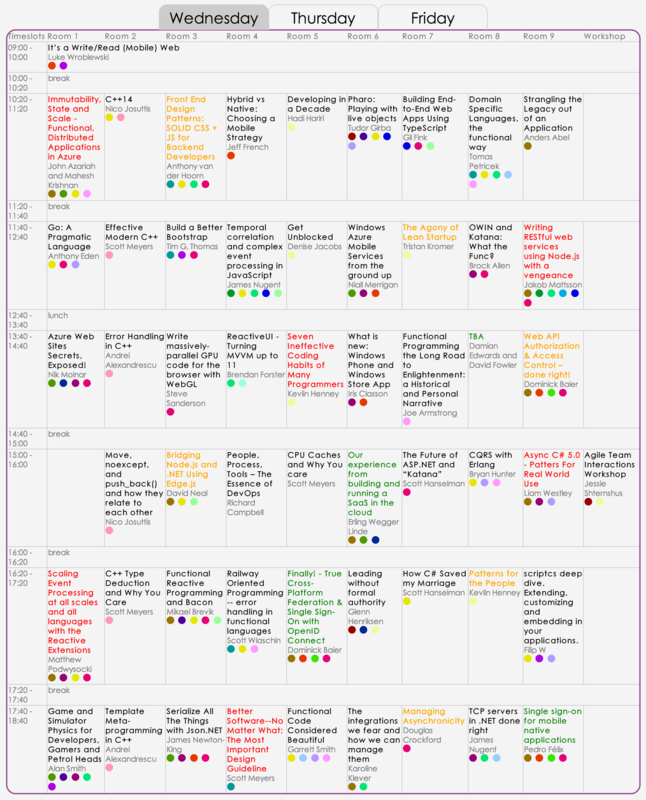 So it becomes very hard to pick two separate single day workshops. This also goes as a feedback to NDC organizers. Don't do that again! Middle priority. Go to this one if you can't somehow make the one above. Low priority. Go to this one if you can't make neither of above. That's it for now. Probably more posts will follow during and after the conference.